Kidz South is the second of four events this year organised by Disabled Living. It provides a free opportunity for parents, families and carers to test and compare the latest products and services for disabled children. 4th June 2015, 9.30am – 4.30pm. Rivermead Leisure Complex, Richfield Avenue, Reading, RG1 8EQ. 9.30am – 4.30pm. Stand 106. We will be demonstrating a selection of Aquanova power assisted baths at Kidz South along with our extensive range of postural supports. 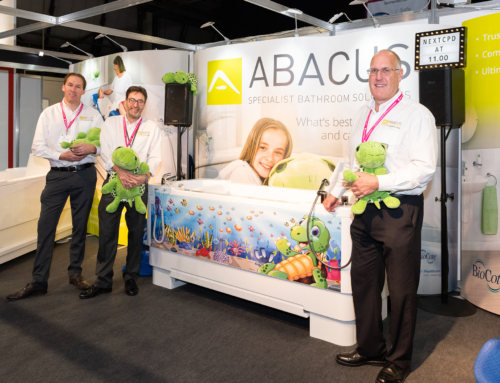 Abacus Product Advisors will be on-hand to show why our specialist baths, such as the popular Gemini, can make bathing so much easier at home. The Aquanova range includes electrically operated height adjustment and powered transfer seats for bathers so safety and comfort is maximised for all. These specialist features ensure parents and carers avoid manually lifting children in and out of the bath and therefore reduce the risk of back or muscle strain – bath time can be much more fun with an Abacus assisted bath! This latest Kidz event in Reading is always popular and will provide a rewarding day out for all families with disabled children. Abacus has supported these shows for many years as our team enjoys meeting and talking to end users and healthcare professionals face-to-face. 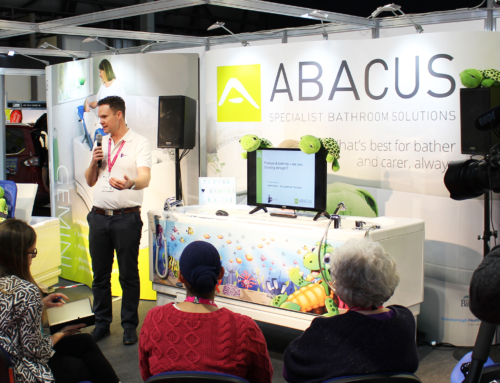 It provides invaluable time, for both families and Abacus, to discuss individual bathing needs and suggest appropriate solutions. Come along to stand 106 to find out more.